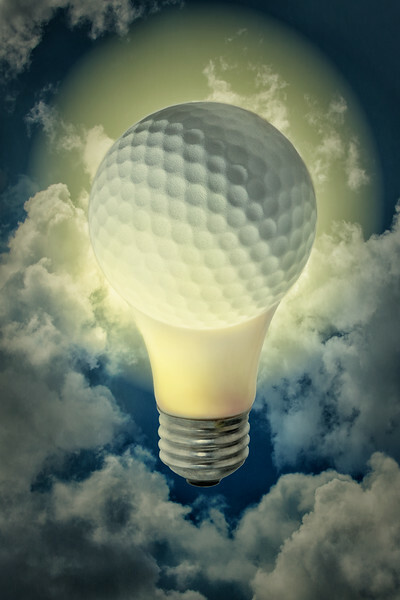 Golf as light source... a bright idea? This is the final image created for Ruth (died in 2016). I began creating these fun golf images to share with Ruth--we spent untold hours together on golf courses with our golfaholic spouses. She is the only person owning the complete Collection.